When you think about, a roof is the foundation to having a safe and comfortable home or business. It protects us from the elements and helps to maintain comfortable temperatures indoors. Element Roofing is your trusted roofer in Fremont. From minor fixes to custom installation of a new roof, our experts are trained to get the job done right the first time and to your specifications. Repairs can add up overtime, and a need for new installation unexpectedly could set you back financially. We want to make sure that you will not have any surprises once we leave, and you can trust that our services will last for years to follow. Your home is your sanctuary. It’s where you lay your head at night, where you welcome friends and family, and where your children grow up. Keeping a safe roof over their heads is a priority for you, so rely on Element to maintain that safety and protection at a price you can afford. If your ceiling starts leaking, it needs to be taken seriously. That small leak could be evidence of a much larger problem. 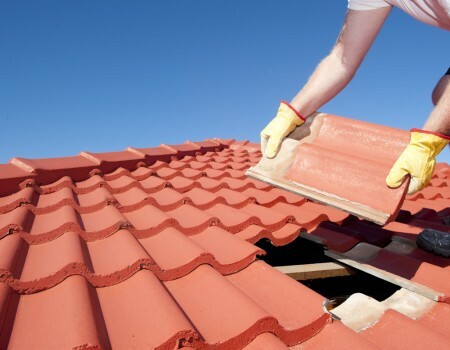 Other roofer in Fremont companies might patch the leak and call it a day, but the Element experts will determine the cause of the leak and ensure that you can sleep easy that night knowing your ceiling will not bring you any more surprises. Our biggest concern is your safety and satisfaction. That is why we offer free estimates. We want our clients to be well informed and take your time in the process so you know that you will be satisfied. Should you find that you need a roofer in Fremont, we will work with you throughout the process so it moves at the speed you wish. After we remove old shingles, we will inspect the underlying structure and make any necessary repairs. We will also work with you in the beginning so you can have the singles you want and create the home you always imagined. We are your trusted, expert source for all your needs. You’ve worked hard to start up and grow your business, shouldn’t your business’ exterior reflect that? In this fast moving, technological society, your customer has already spent hours researching online before deciding to go to your store or office. Their first impression of how their experience is going to be is the look of your store. Dilapidated, leaky ceilings will give off the impression that your store is careless and does not pay attention to details. Your customers and employees may feel like they are walking into a building that is potentially not safe, or at least not very comfortable and inviting. Our Fremont commercial roofing team perform annual inspections on commercial roofs to maintain the safety and presentation of your business. All it takes is one small leak to lead to much more expensive costs, like a new floor, new ceiling, or mold repair. One of the best features that we offer are free estimates for your commercial roofing in Fremont needs. Our quotes our honest and we are upfront when it comes to time estimates, plus we offer a 15 year workmanship warranty so you won’t get left behind if something goes wrong. You’re busy, you don’t have time to worry about roof inspections. Leave that to us so you can focus on running your business and keeping your own customers satisfied. It’s easy to forget as you go through your daily life that your roof might need an inspection or some simple maintenance. Protect your business with our maintenance packages, and leave any worries to us. Minor problems can be unnoticed for a long period of time, until it is suddenly too late and the minor problems has turned into a major issue. Usually, material warranties only cover manufacturer defects and do not consider your whole roof but rather only a small piece of it. Our maintenance packages will make it so that our team of trusted professionals will inspect your roof and ensure that is it suitable all year, not just the upcoming season, so you can plan accordingly. Regular maintenance will dramatically extend the life of your investment, which saves you a ton of money and a great deal of time. Call us today and discover how our maintenance packages will keep your home or business safe for years to come. Under new California law, all new homes need to be producing zero net energy by 2020, and all commercial buildings by 2030. While this may be a long way off, your building might not be compliant with the new regulations. While Title 24 is not about roofs, being compliant really comes down to what kind of roof you have. Transitioning your roof into a cool roof is one way to help your home or business be Title 24 compliant. A cool roof absorbs less heat from the sun and are designed to reflect more light. The benefits is not only to meet Title 24 guidelines, but it will also save you money on utility bills. We can get your building within Title 24 regulations without breaking the bank, and you can trust in our work with our 15 year workmanship warranty. Looking for a roofer in Fremont or a nearby location? Then call Element Roofing today.